"It (playing in 2015 World Cup) is realistic. I want to keep doing well. If you keep doing well you give the selectors a hard task to make that phone call to say you're not in the team. If I keep doing well and contributing to the team's success, you just never know. 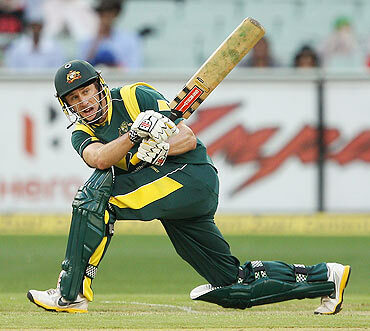 It's very hard to drop someone from a series win," he was quoted as saying by the Sydney Morning Herald. Hussey said he had also taken heart from the way his brother Michael had fought back last summer, after critics had called for his head ahead of the Ashes series. "Hopefully, I can contribute to the team's success and, you never know, if your name pops up at the right time you might get that chance of playing Test cricket," Hussey said.